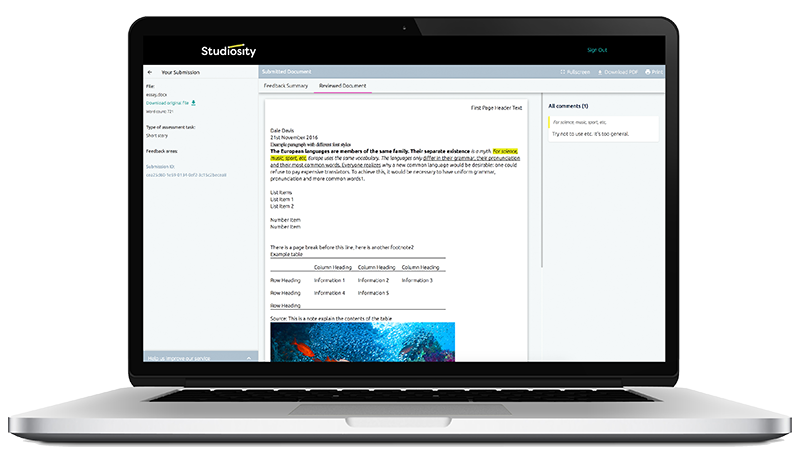 Because students can be anywhere they want, study help needs to be, too. Anywhere you are, we're there. 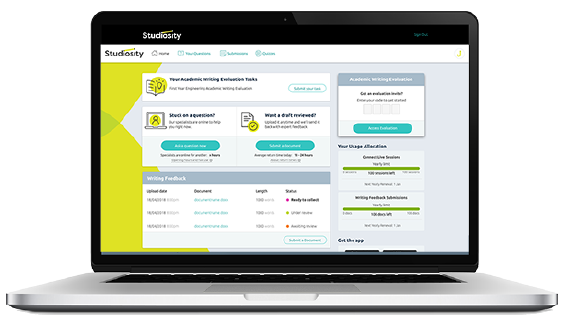 Studiosity is on-demand study help - from one of our Subject Specialists - with academic literacy skills and core subject support. "Here's my file, I'll check back later." This service offers constructive writing feedback in less than 24 hours. Feedback is a spotlight, showing students where they might focus attention and add more thought. Whether for future accountants, nurses, or aeronautical engineers, English language skills are critical to success and part of the integrity of a university or high school qualification. "I need help right now!" This service offers one-to-one, personal help in real time. 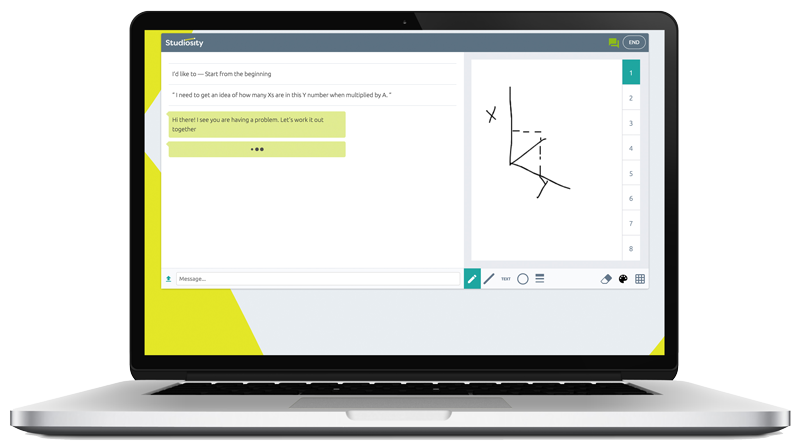 A student formulates her own question, then works with one of our Subject Specialists in the interactive classroom - with chat, collaborative whiteboard, and file sharing. Because timely feedback drives confidence and perseverance. 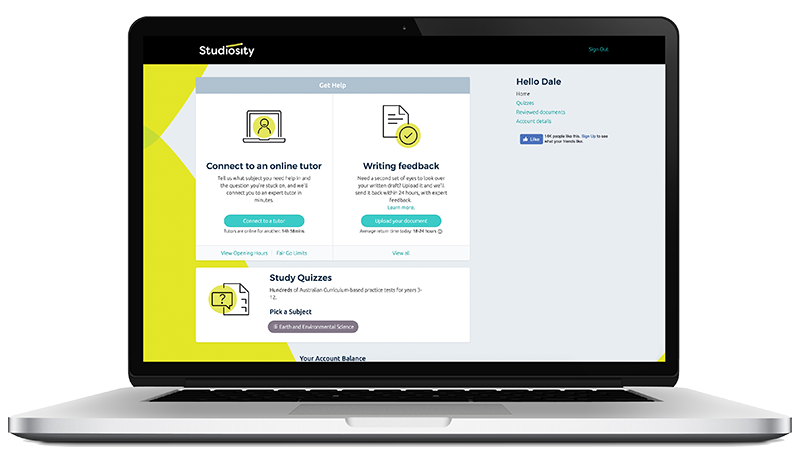 The new Academic Writing Evaluation service (AWE) prompts students to complete a writing task that gets reviewed using Studiosity's comprehensive academic writing framework. It allows our partners to gain insight into their students' academic writing capabilities and support them early in the semester, if needed. We're here when the going gets tough. Give your students the confidence to persevere, to normalise academic enquiry, to independently produce more thoughtful work, and to arrive in class better prepared. This is what the best study support looks like. Next: What subjects can students choose from?